Put this fun event on your calendar, come out and see what’s new, traditional and just plain well done in the frame construction world. We hope this will be a fitting send off for VeloCult as they focus on spreading their unique view on bicycle culture through their online endeavors. The OBCA is forever indebted to Sky and the VeloCult team for what they have brought to the Portland bicycle scene and the bicycle industry as a whole. VeloCult closing leaves a huge void in our community… you will be missed. OBCA Founder and veteran framebuilder Andy Newlands has developed a new line of Torch & File Brazed Carbide Mitre Cutters for builders working with the most state of the art metals. “I made them to cut the heat treated tubing, and in particular the Reynolds 953 heat treated stainless,” Newlands says of the tool’s origins. Official OHBS photographer Amy Sakurai took a bunch of lovely photos of the 2017 Handmade Bike and Beer Festival, below. Amy also has photos from past OBCA affiliated events at her website. AUGUST 12-13 @ Cathedral Park Place 6635 N Baltimore Ave, Portland, OR 97203. We look forward to expanding our programming for this year’s event and working once again with Point West Credit Union, which continues to be an amazing sponsor for the festival. Tickets cost $10 for entry to bike festival. Sign up online and receive a FREE pint glass while supplies last. The show is open to the public, is wheelchair accessible, and pet friendly. Exhibitor Registration is open now for all bicycle frame builders and companies; wheel and component manufacturers; bicycle aftermarket and accessory companies; bicycle painting and finishing specialists; bicycle frame building materials suppliers; cycling industry brands; bicycle recreation, travel, and tourism companies; and all cycling related media. Register today! AUGUST 12-13 @ Cathedral Park Place under the iconic St. Johns Bridge. Please mark your calendars to save the date, and if you haven’t already please follow us on Facebook, Instagram, and/or Twitter! OBCA and Handmade Bike & Beer Festival in Portland Monthly Magazine! OBCA member Rob English suffered serious injuries from a crash last week while riding in the Tour of Aufderheide. Rob is an A-list frame builder and bicycle racer with a rich history of involvement in the cycling community. Rob’s road to recovery will be a long one and our hearts go out to him and his family. Ride organizer Dark:30 Sports has set up a recovery fund to help with Rob’s medical expenses. Please consider making a donation by clicking this link. We at OBCA wish you a speedy recovery, Rob, and hope to see you out and about, doing what you love again soon. The Oregon Bicycle Constructors Association (OBCA), in partnership with Hopworks Urban Brewery (HUB), is pleased to announce the 2014 Oregon Handmade Bike and Beer Festival. This year’s festival combines two of Portland’s most thrilling fall events: the OBCA Oregon Handmade Bicycle Show and HUB’s Biketobeerfest. The event will take place on September 27th & 28th at HUB, 2944 SE Powell Blvd. The weekend features custom frame builders showing handmade bicycles, local brewers pouring hand crafted, limited edition, bike themed beers, and live music from area artists. Admission to the handmade bicycle display is $10 with proceeds benefiting OBCA and beer tickets are available for purchase at the event. Vendor booth registration is now open. Space is limited and vendors are encouraged to apply early. Visit the OBCA registration site to reserve your spot today. 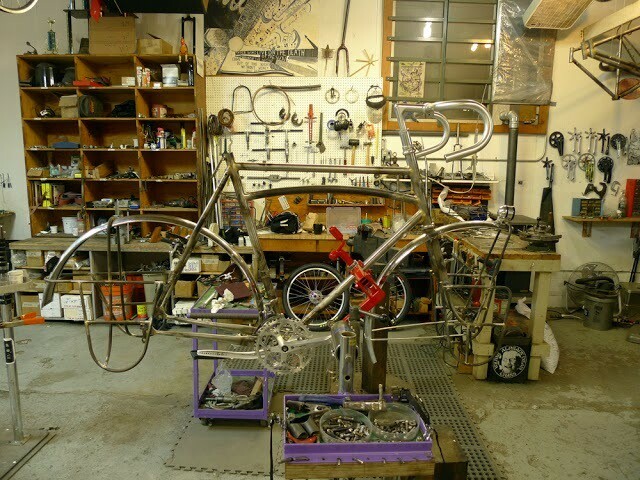 Founded in 2006, OBCA is a non-profit industry group that exists to promote and support hand crafted bicycle builders. 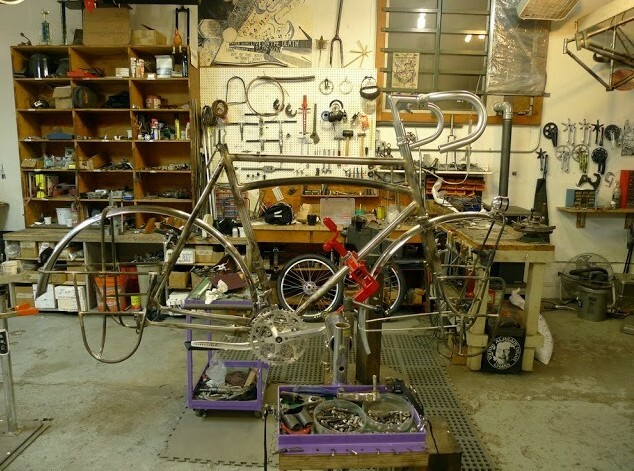 OBCA has staged the Oregon Handmade Bicycle Show annually since 2007. The show attracts frame builders, industry representatives and thousands of bicycle enthusiasts. With two bike themed brewpub locations and a focus on sustainable operations, HUB is a champion of the Portland microbrew and cycling communities. HUB sponsors dozens of bicycling events and has hosted Biketobeerfest, the world’s only bike-in Oktoberfest party, annually since 2007. Contact show@oregonframebuilders.org for more information. Builder/Exhibitor Registration is now open – Register today!